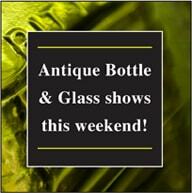 Please feel free to send any antique bottle or glass questions to ferdinand@peachridgeglass.com. 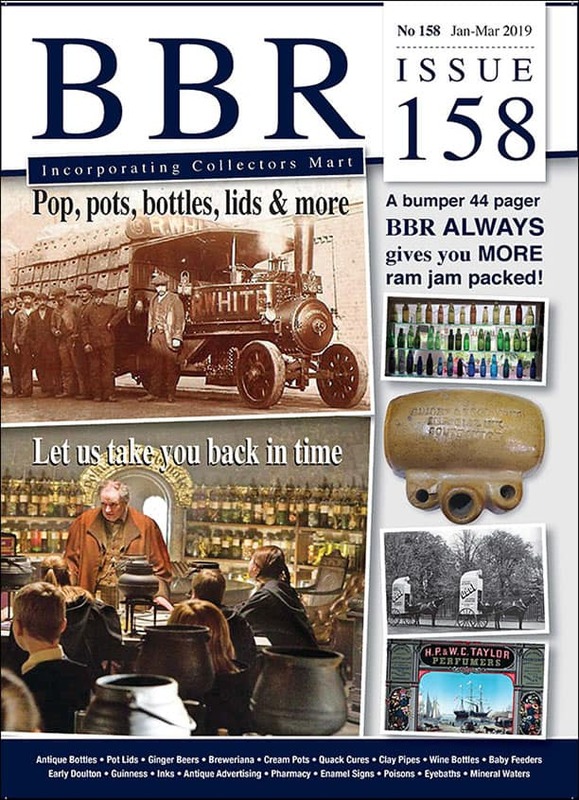 The information will be posted if relevant or of interest to the readers. I will try to answer or wait for another reader to respond. Quality images are very important. Thanks! If you want to see previous questions,go to “Mailbox Letters” in “Categories” on the right column of each page. [PRG] Because it is closed on both ends, the clue lies there. It was meant to float and was used as decoration on a fishing net. Usually there would be a whole series of floats. Here is a neat picture of some rare Japanese “Roller Pin” net floats from Tim Walters. 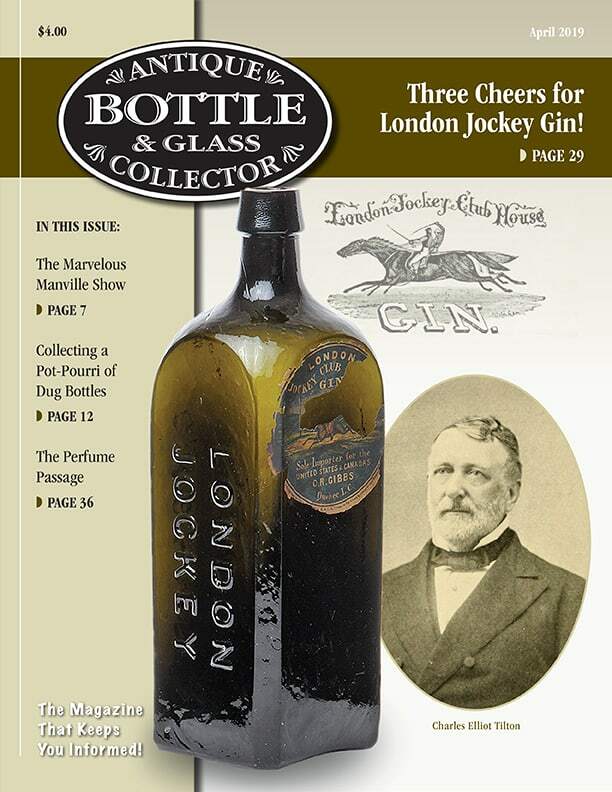 Hi, I am writing to you for information on a sample size Schroders’s Bitters, Louisville , KY. No base embossing, stepped shoulder. 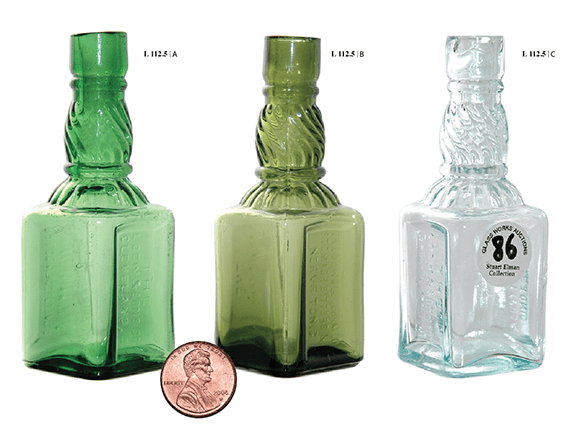 The bottle measures 5 1/4″ high x 1 1/2″ wide. There is some damage, chips and a crack in the lip and a 1 1/4″ crack in the main body that goes through the first S in Schroder’s. 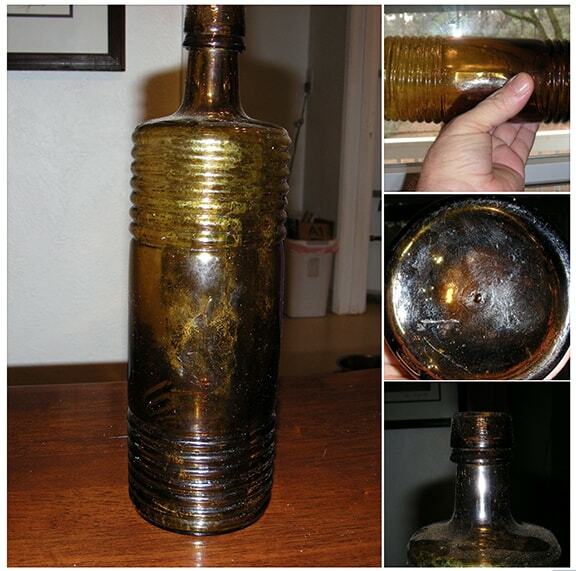 The bottle was found in west Texas, exact location undisclosed, and looked sand blasted when I received it. I had Rick Lease clean the bottle as best as he could vastly improving the condition and appearance but it is still highly pitted. 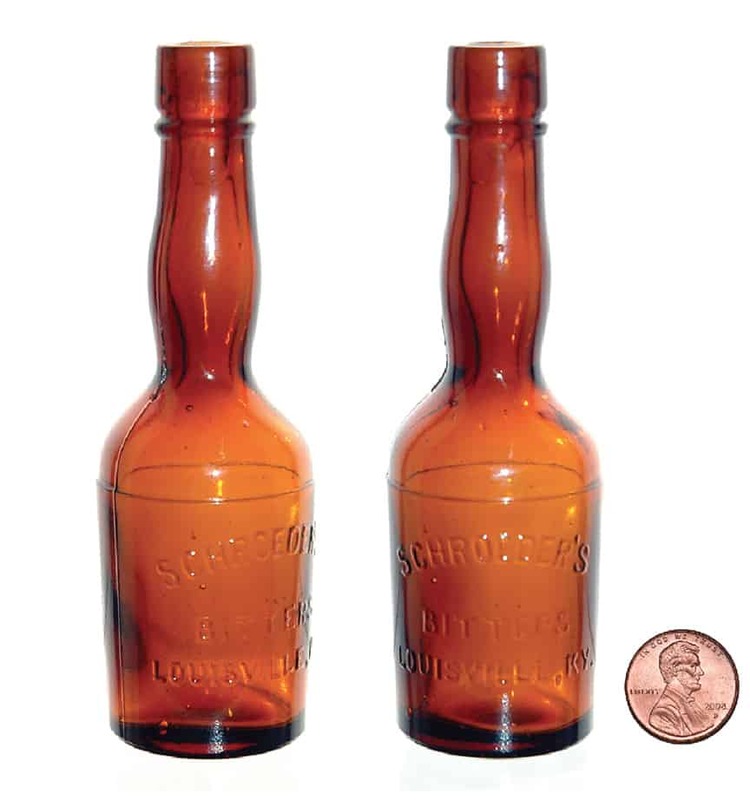 I have found reference to smaller sample size Schroder’s Bitters, 4″ x 1″ but nothing on this size bottle. I don’t have a camera so I cannot forward any pictures. Any assistance you can offer will be appreciated. [PRG] Randall: This looks to be the very rare S 63 listed in Bitters Bottles. 5 1/4 x 1 1/2. I have an example in my collection. Is this the one you have? I assume you spelled Schroeder’s wrong in your email. If it really says Schroder’s, that’s another story. My boyfriend uncovered this bottle today at work while digging. I haven’t cleaned it up yet but have been searching the Internet to try and find info on it. It is not the standard size mentioned everywhere but appears to be a miniature version instead. The height is only 3 3/4″. Can you tell me any more about it or what its value would be? Any info you can give would be greatly appreciated! I love antiques and am very curious to find out more:) Thank you in advance. [PRG] Maybe $500 to $1,000 in perfect stellar condition like mine below. This is a salesman’s sample. 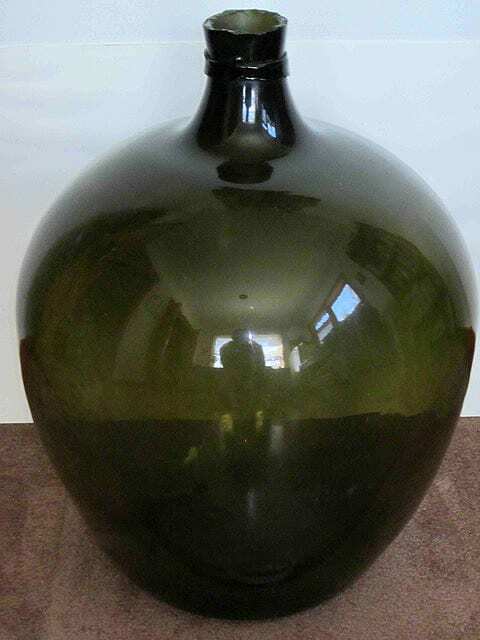 I have a large demijohn that needs a good home. Dr. E. R. Clarke have hung on to that final “e.” My children’s great-grandfather (deceased 2003) shared Dr. Clarke’s name, Edwin Richards. His wife, Mrs. E. R. Clarke, is still living and celebrates her 98th birthday next month. Her name is Elizabeth. 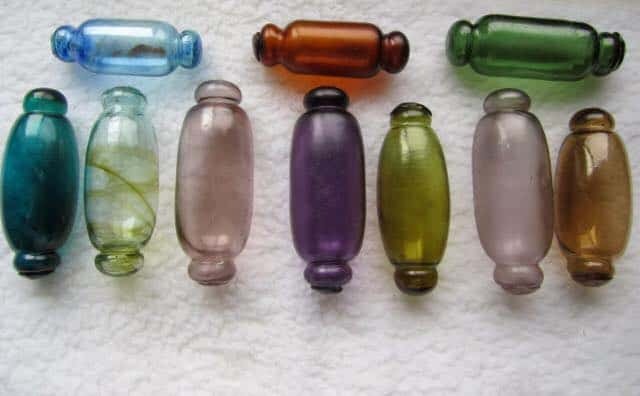 She has always been a history buff and told me the story of Dr. Clarke’s patent medicines when I married into the family, even showing me a piece of one of Dr. Clarke’s bottles with his name intact. 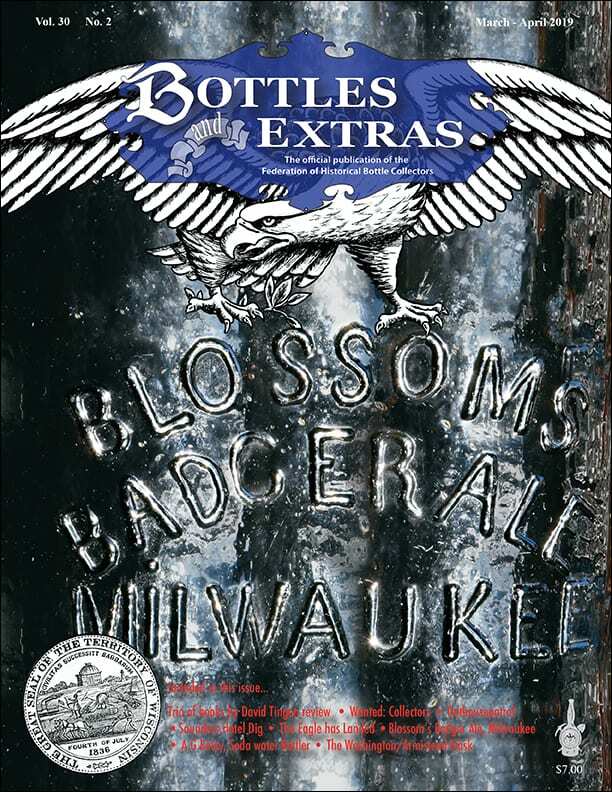 I thought you would appreciate some information about the man on the bottles you collect. Hi Ferdinand, I have been a member of FOHBC on and off for years. 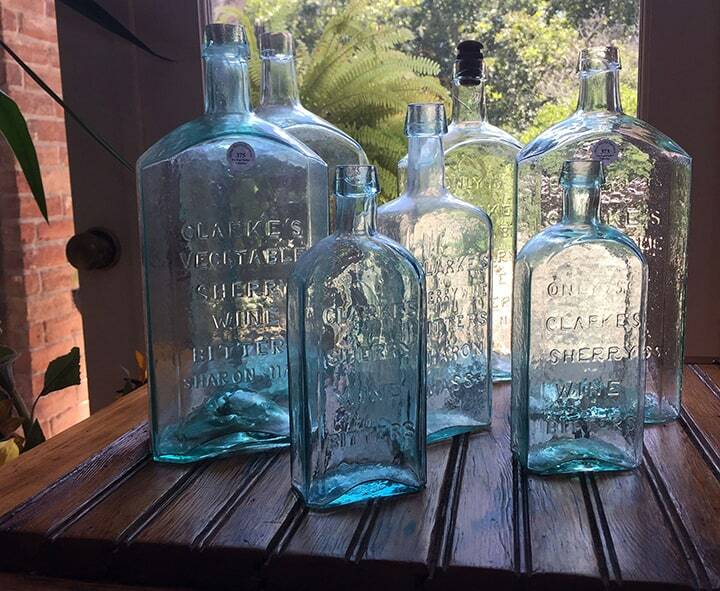 I have been a bitters collector for 43 years. 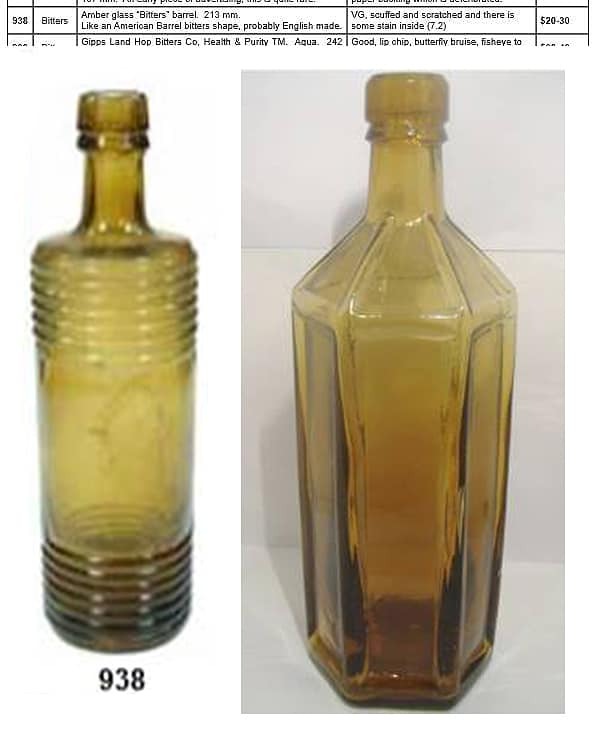 I guess around twenty years back I acquired a dug and cleaned bottle from a San Francisco collector who claimed this bottle was dug somewhere in SF. I have never been able to identify and need some help. It is a beautiful specimen, 10 1/8″ long, yellow amber to citron in color, straight – no barrel, seven ring on top, seven ring on bottom, label area in the middle. I paid a good price for this bottle, even back then. Also, a two piece mold, pin bottom with an applied top in early 1800’s style. However, due to this type of two piece mold. 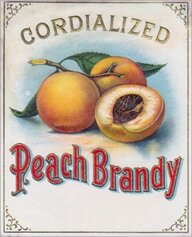 I estimate the age between 1880 and 1910. I can send some photos later so you can see this piece. Need some help! 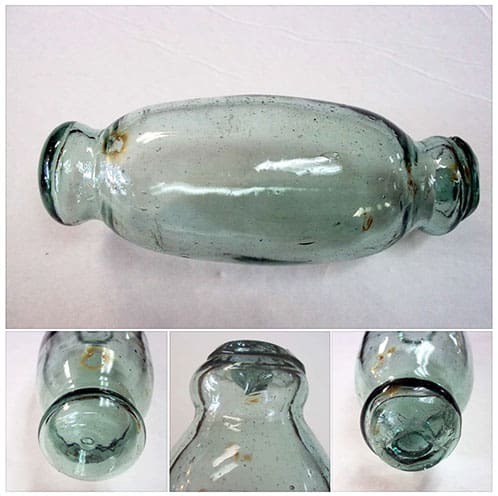 PRG: I posted the bottle pics on the PRG Facebook as I had seen the bottle before. It is not an American barrel form. Lou Holis responded with the following information he found on a past ABCR Auction in Australia. Ferdinand Meyer V is a native of Baltimore, Maryland and has a BFA in Fine Art and Graphic Design from the Kansas City Art Institute and School of Design. Ferdinand is the founding Principal of FMG Design, a nationally recognized design consultation firm. 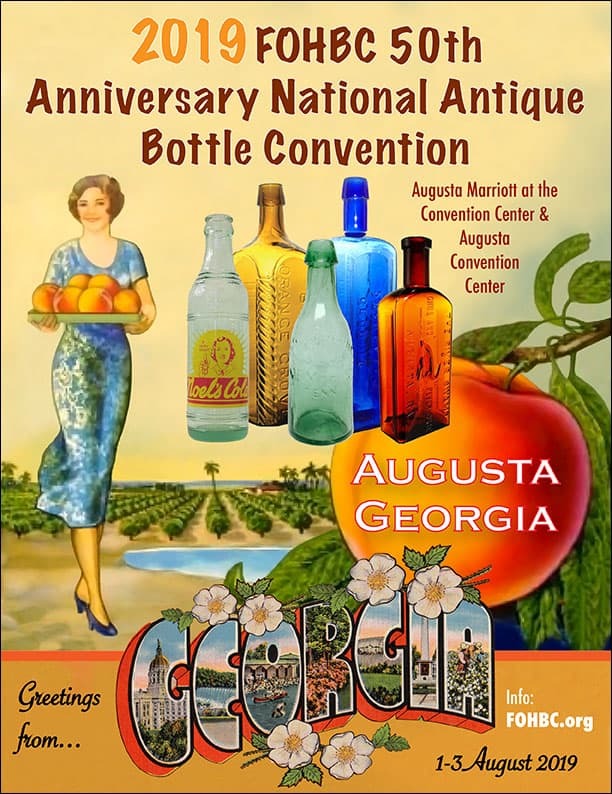 Ferdinand is a passionate collector of American historical glass specializing in bitters bottles, color runs and related classic figural bottles. He is married to Elizabeth Jane Meyer and lives in Houston, Texas with their daughter and three wonderful grandchildren. 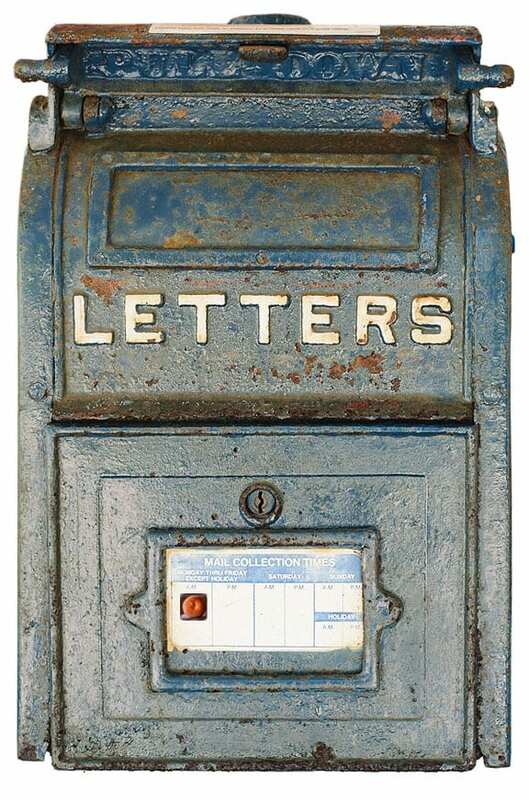 The Meyers are also very involved in Quarter Horses, antiques and early United States postage stamps. 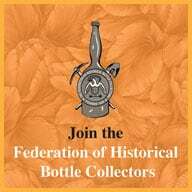 Ferdinand is the past 6-year President of the Federation of Historical Bottle Collectors and is one of the founding members of the FOHBC Virtual Museum. 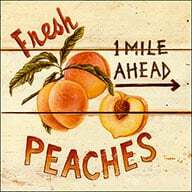 This entry was posted in Advice, Bitters, Mailbox Letters, News, Questions and tagged Letters, mailbox, questions. Bookmark the permalink. I own an example of this barrel that I purchased years ago at the Las Vegas show from Bob Ferraro. 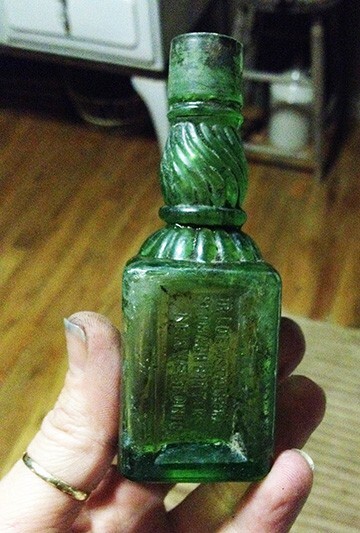 It’s a mint bottle in a very unusual and attractive “gasoline” color. It has an inventory label from the Gardiner Collection (#4081). 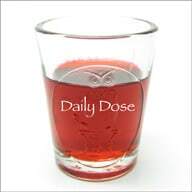 Bob thought that it might be English and likely was a bitters. I know that John Feldmann also had an example in his collection at one time, and I believe it’s pretty rare since John’s is the only other example I’ve come across.